Get creative with your photos. The photography app to replace all photography apps. Select effect. 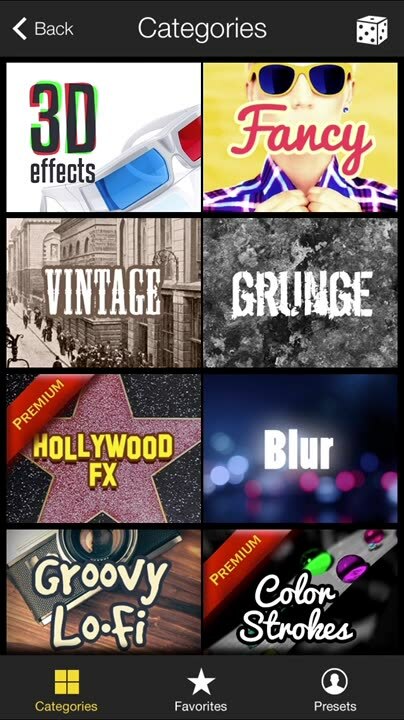 You can select over 200 Premium Photo Filter Effects: Vintage, Unique 3D effects, Groovy Lo-Fi, Color Lenses, Hollywood FX and many more. Edit picture. 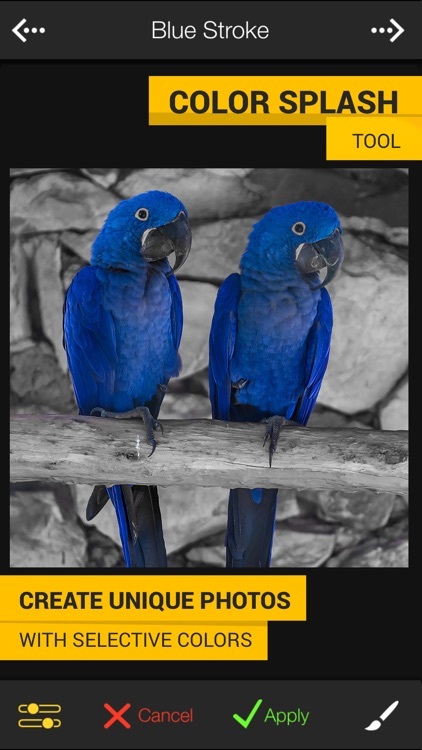 You're able to adjust brightness and contrast, you're able to bring color pictures to life with Saturation and Hue. Color stroke and apply filter. 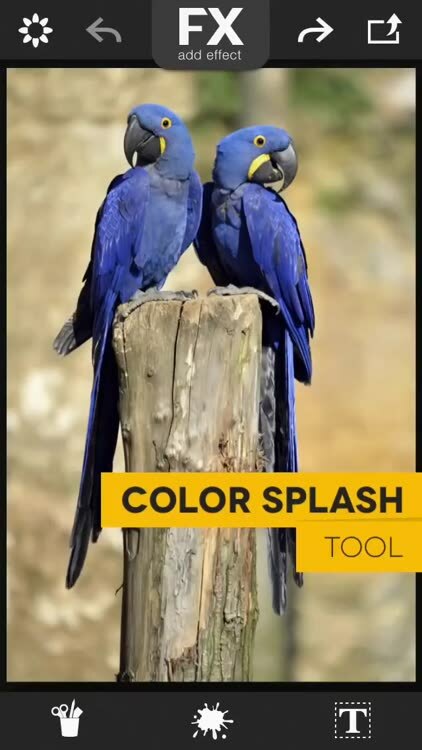 You're able to create black and white photos with colored objects with just one tap. 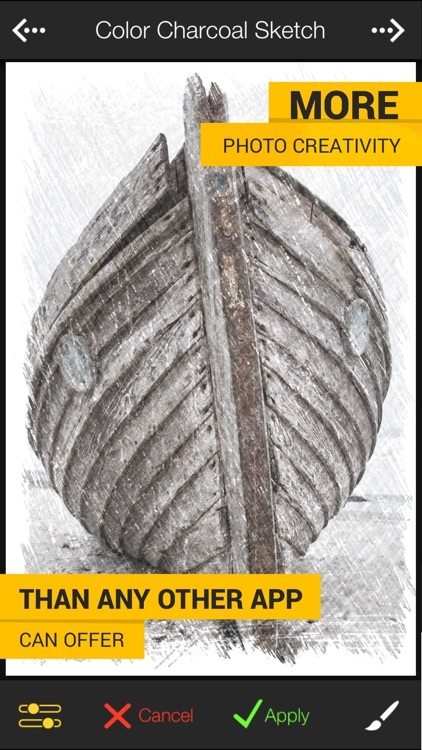 You're able to apply filters selectively, just draw around the object. 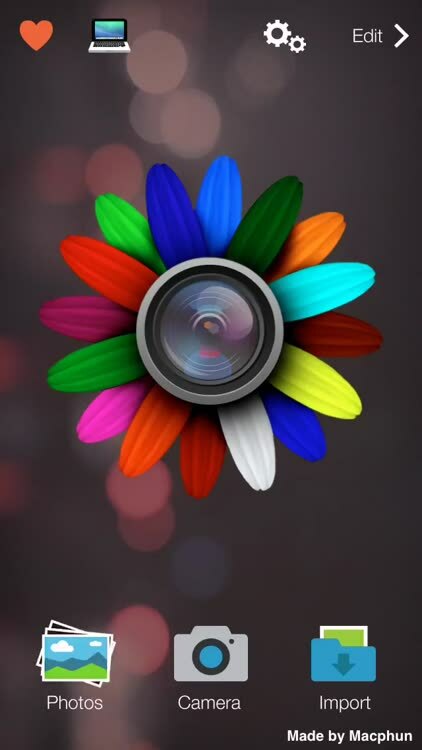 Here's is one of the few iOS apps from popular Mac photo-editing company, MacPhun. FX Photo Studio lets you do most of your editing directly on your iPhone or iPad. This all-in-one photography solution is perfect for those looking to actually reduce the number of photography apps on their iDevice. If you despise in-app purchases in your photography apps, just look away. FX Photo Studio isn’t for you. If you’re tired of jumping in and out of photography apps to get the look you want, FX Photo Studio is the app to save you the hassle. It’s loaded with so many fantastic editing tools, filters, and effects that you’ll actually have to go digging around to ensure you don’t miss anything. 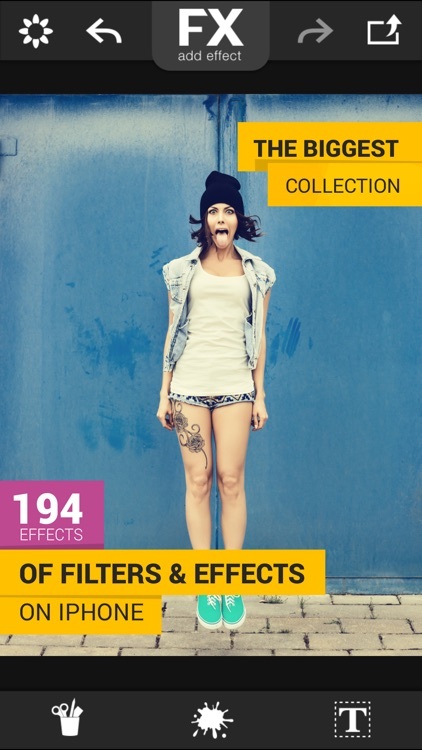 The biggest collection of photo effects and filters available for iPhone. 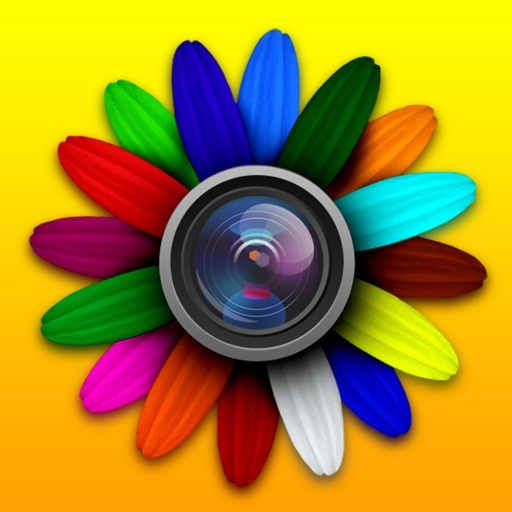 Get creative and make amazing photos with a single click. 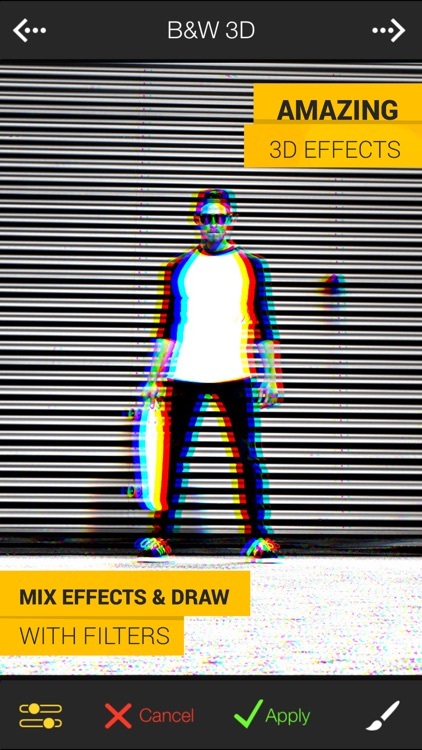 Over 200 effects for all types of your photos. Plus Color splash tool (so you don't need other apps), stickers and text labels. FX Photo Studio is the biggest collection of photo filter effects available on iPhone, with stickers, borders, fonts, textures and frame effects to help you snap the perfect photo. Whether you’re looking to take the perfect selfie or create professional-quality pics with filter effects, FX Photo Studio from Macphun is the only mobile editor you’ll ever need. Dive into the most amazing collection of filters and effects available on for your phone! Easily turn your pics into vintage shots, apply stickers and textures with a touch, and crop and edit photos in seconds. Achieve unique styles by combining different filters and effects. Personalize your favorite memories with text in a variety of fonts. With over 200 premium photo filter effects available, you’ll always take the perfect photo. FX Photo Studio can be as flexible as you want. 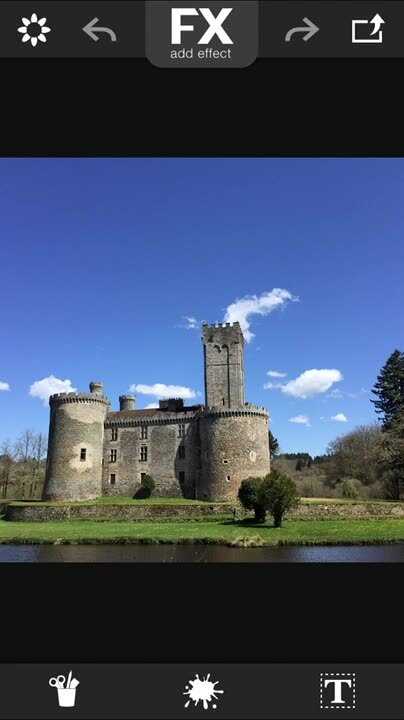 Edit pictures like a pro with a color edit and any unique camera filter or snap a selfie for friends. 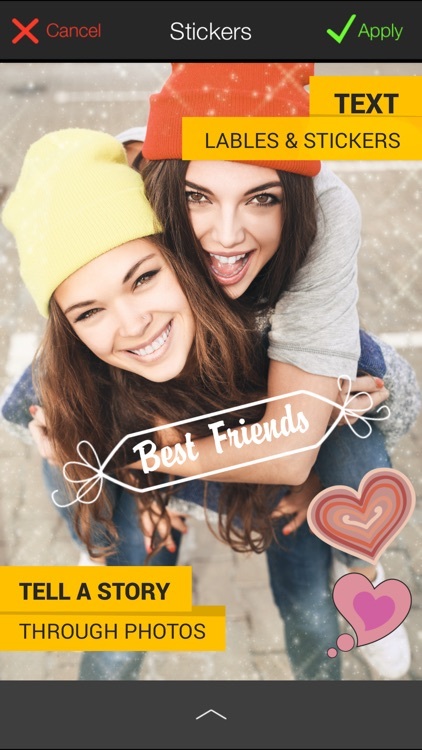 With stickers, textures and text built-in, it’s also the perfect selfie editor. 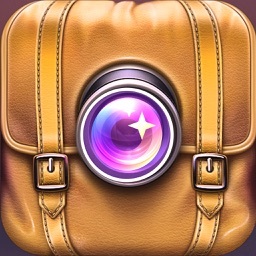 Create unique masterpieces and by editing your favorite memories with FX Photo Studio! Other photo editing apps can’t compare to the flexibility and power of FX Photo Studio. Discover your inner artist with premium camera filter fx, add text on photo images and use the powerful color editor to make your snaps look like they came from a pro. Create your own unique masterpieces with as many filters, effects and other options to help you express yourself and whatever you’re trying to capture. Download FX Photo Studio and unleash your creativity today! 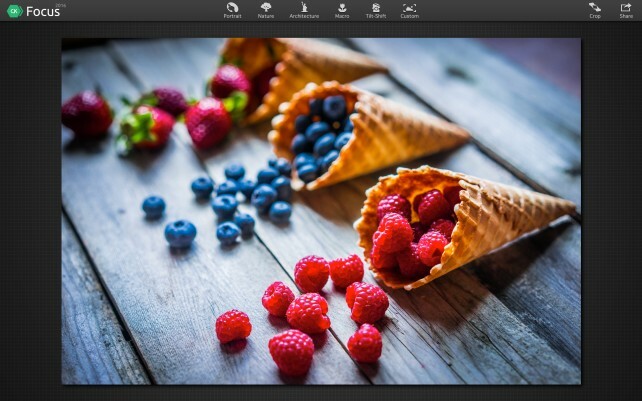 The redesigned suite features six separate apps to help improve your Mac photo editing skills. Today’s AGF list includes a task manager, a journaling app, and an entertainment app.